In 2015, at the ripe age of 63, I first got the urge to write a piece of music for a cappella choir, a Missa Brevis. In 2016, I first experienced that unique thrill of hearing one of my pieces performed in public, the “Rideau Carol” written specially for and dedicated to my choir the Stairwell Carollers. Audio: Tom Barnes. Recorded at Knox Presbyterian Church, Ottawa, Ontario, Canada, Dec 16th, 2016. And this spring in 2018, I got to hear a third piece performed by the Carollers, another challenging arrangement, this time of the medieval song, “In natali Domini.” A true thrill! Throughout all of this, I have been mentored by Pierre, who has taken huge amounts of his precious time to listen to my new works, review them, make comments and suggestions, push me this way, pull me that way, and generally challenge me to make each piece the best that it can be. I owe him a huge debt, thanks Pierre! Well, I’ve been totally bitten by this “composing bug” and have now written 17 (!) pieces for mixed a cappella choir. Check out my YouTube channel. One initiative of mine has worked out quite nicely. A few current and former Carollers have formed a small singing ensemble that we call the “Ad hoc Chorale.” It started out as an invitation to come test out and “workshop” some of my new pieces. The first session went well and the second is coming up soon, and there is even interest to widen the net a bit, as some of our “Ad hoc” members are also choral composers, so I’m really looking forward to hearing their pieces workshopped too! 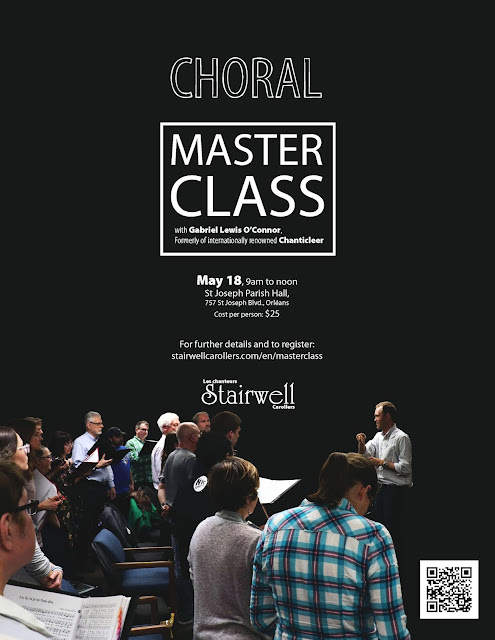 Anyways, fast forward to when to my total shock, I got an email from Jon Washburn, the director of one of Canada’s top choirs, the Vancouver Chamber Choir. Jon informed me that my application to the VCC’s “Interplay” composer workshop had been accepted! Yikes, did that thought make me nervous! But then I thought, this is a professional choir, one of the very best in Canada, and all I had to do is show up, sit back, listen, and learn. How tough could that be? On April 4, 2018 some of my choral works along with 2 other Vancouver composers were sung by the VCC choir led by Jon and I received their comments and critiques on my pieces. But that's another tale for later. Sincere thanks to Jon and the Vancouver Chamber Choir for offering me this unique opportunity to learn and grow as a composer, and a special shout out to the SOCAN Foundation for making this “Interplay” workshop with Jon and the VCC possible. 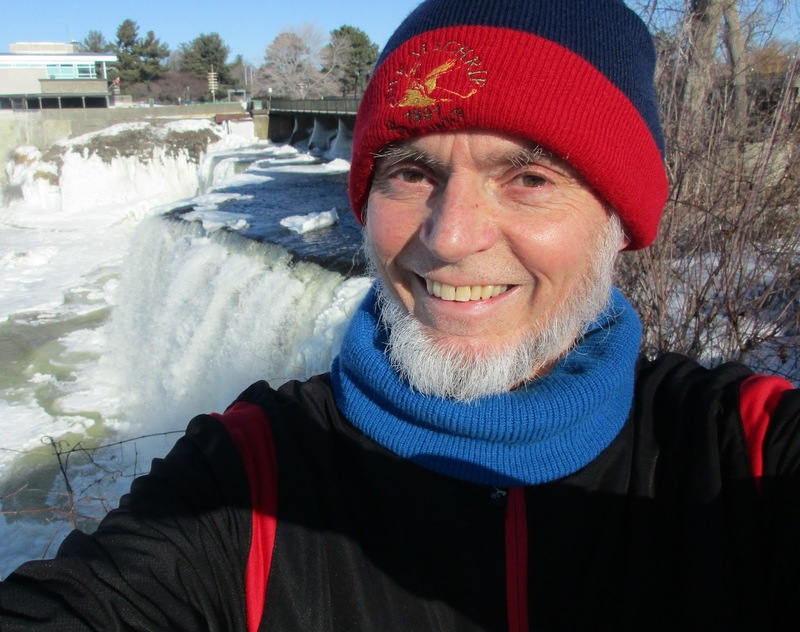 David Rain, a fledgling composer, has sung tenor with the Stairwell Carollers for 25 years.